(Bloomberg) -- U.K. prosecutors tried to recreate the frenzied days of the financial crisis when former Barclays Plc executives scrambled in 2008 to raise billions in capital from Qatar to ward off a government bailout that threatened the independence of the century-old bank. "It is no exaggeration to say that Barclays’ future as an independent bank was in jeopardy in September and October of 2008," Ed Brown, the SFO lawyer, told jurors in London Wednesday. "The Qatari money was essential and those within the bank at that time commented that without it the consequences would be dire, for the bank and personally." Barclays paid Qatar 322 million pounds ($420 million) as part of agreements in June and October 2008 to secure cash injections worth about 4 billions pounds, Brown said. The commissions -- more than double what Barclays paid other investors -- were illegally kept secret from the market, he said on the first day of a fraud trial against Varley, 62, and three of his former colleagues. The case is the first U.K. jury trial of top executives related to alleged wrongdoing during the financial crisis, when banks including Lloyds Bank Plc and Royal Bank of Scotland Group Plc were forced to accept government funding to survive the credit crunch. 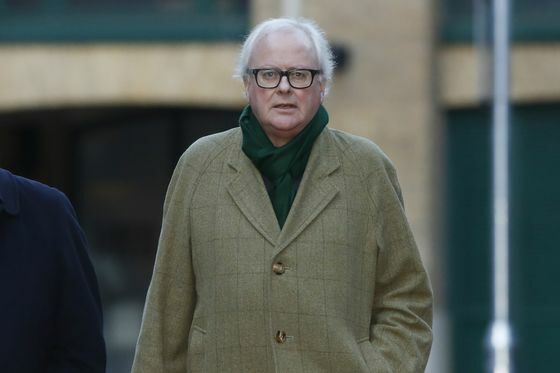 Varley and other executives are accused of using fraudulent agreements with the Qataris to avoid a bailout that would put it under greater government control and scrutiny. While the Barclays board signed off on the capital-raising prospectuses, Varley and Lucas were the only members to know that the documents didn’t contain information shareholders should have received, Brown said. They also deceived internal and external lawyers whom they consulted for advice, he said. Varley, sporting a flock of white hair and a cardigan, sat next to his former employees in the glass-encased dock reserved for defendants in the courtroom. Jenkins wore with a black sweater and blue sports jacket, while the other two opted for dark suits. The Qataris "drove a hard bargain" when negotiating the commissions, which is why Barclays agreed to pay considerable sums, Brown said. The executives kept those payments secret to ensure that other investors didn’t ask for similar amounts, he said. And some of the money went to Qatari Prime Minister Sheikh Hamad bin Khalifa Al Thani, even though he wasn’t in a position to actually deliver any services to Barclays, he said. "If Barclays had appeared to be so desperate to raise additional capital that it was prepared to pay significantly higher fees to the investors, then the overall cost to them of showing weakness was likely be much higher," Brown said. "The security of their jobs and the very large bonuses that they might receive in addition to their salaries were in jeopardy if the future and the security of the bank was in doubt." Judge Robert Jay will oversee the trial, which is expected to last six months at London’s Southwark Crown Court. Former Barclays Chairman Marcus Agius is due to testify, Brown said.